To be united and organised around the political principle of Food Sovereignty is more necessary than ever in today’s continental and global context. We, men and women, representatives of 20 countries and 14 networks, members of regional and sub-regional social platforms, made up of food producers, inhabitants from rural areas, coastal areas, islands, steppes, grasslands and mountains in Latin America and the Caribbean, are meeting at this consultation, in preparation for the 34th FAO Regional Conference, which will take place in Mexico from the 29th of February until the 3rd of March this year. We express our solidarity with the people of Mexico, with peasant movements in their struggles and with the families of the rural students from Ayotzinapa who disappeared, as well as with those who have been deprived of their freedom for fighting for their territories, their natural resources and for Food Sovereignty. We oppose practices that lead to the removal of peasant and indigenous families in the region, as has recently happened in the province of Mendoza, Argentina, where small-scale farmers have been evicted. We welcome the progress made by some governments in taking steps towards Food Sovereignty, by including positive actions in their public policies in their respective countries and we appreciate the space that we have been given. We hope that member states shall consider this statement when they define FAO’s agenda for the next biennium. 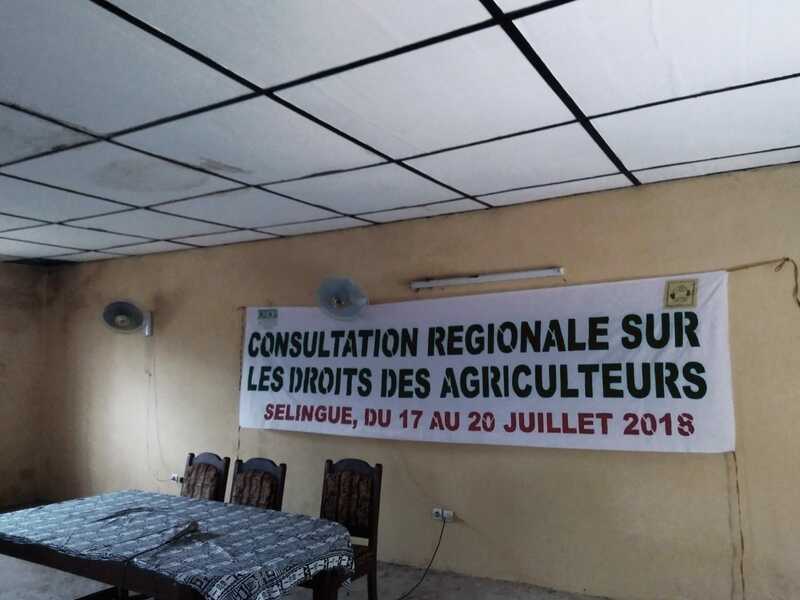 Following the process of prior consultations with platforms and social movements initiated at previous FAO regional conferences, we reaffirm our commitment to the struggle to continue developing small-scale production of healthy and culturally adequate food and to contribute to the eradication of hunger and poverty, within the framework of the Sustainable Development Goals in the 2030 Agenda whilst also taking into account regional and international treaties and agreements. This is a space for indigenous peoples, peasant farmers, rural workers, environmentalists and artisanal fisherfolk to meet and take action as well as to engage in dialogue with urban dwellers and workers and peoples overall. 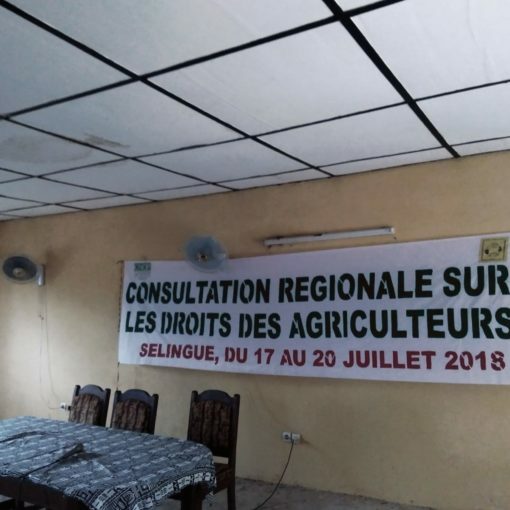 Our experience as continental organisations and networks, articulated in the Alliance for Food Sovereignty and other platforms, confirms that inclusive public policies or effective actions towards the Sustainable Development Goals can only be constructed by prioritising the principle of Food Sovereignty through the practice of Agroecology, as corroborated by this new consultation prior to the 34th FAO Regional Conference. Our different identities converge and, together, we will not give up our principles and our rights. Therefore, we denounce false solutions to hunger and rural poverty, i.e. carbon markets, green economy, biotechnology and “climate smart agriculture”. 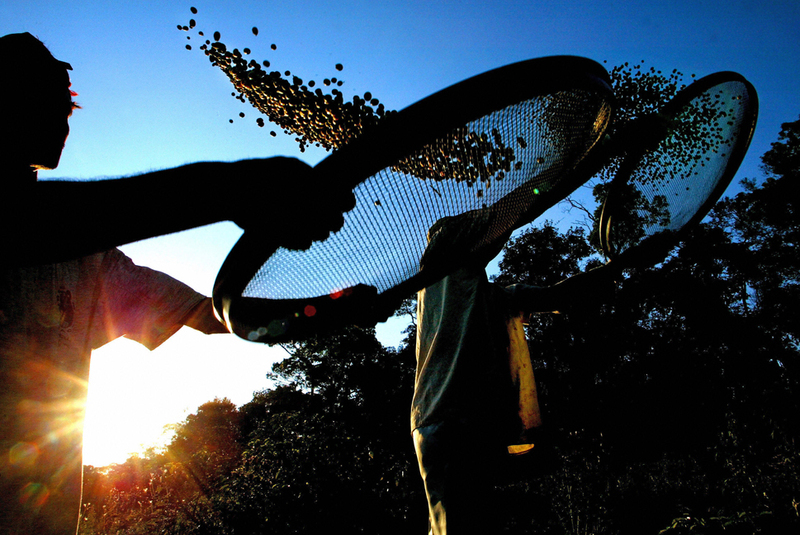 Based on the above, we question proposals that increase dependency on capitalist food production, which exploits peoples, workers and ecosystems by following strategies and policies of commodification and profit as opposed to the right to food and Food Sovereignty as a fundamental human right. The latter contributes to autonomy, peace and GMO-free adequate nutrition leading to a dignified life for rural and urban populations. In our view, the Paris Agreement does not represent a landmark to fight climate change. This agreement is non-binding and only puts forward a proposal for adaptation instead of fighting the real causes that exacerbate climate change. It is presented as a success, whereas in fact it was a setback, as the binding character of the Kyoto Protocol, which called upon the most polluting countries to reduce their emissions, was removed. It was replaced by a compensation system based on the carbon market and linked to monocultures and forest plantations. These mechanisms are false solutions to climate change, which is why we reject the concept of climate smart agriculture and FAO’s definition of forests and the UN REDD programme as the solution to climate change. 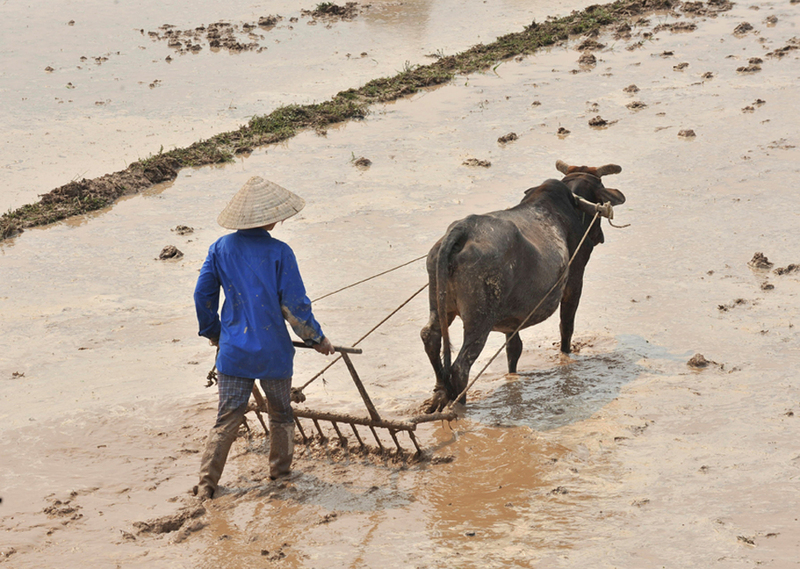 Today, large-scale food and agriculture systems are responsible for between 41% and 54% of greenhouse gases. The role of small-scale fisheries and aquaculture in the consumption of aquatic products should be recognised in order to guarantee food security and food sovereignty in communities around the world. States must promote public policies for the preservation and management of responsible and sustainable fisheries, including the use of our resources for nutrition. They should provide financing and infrastructure, access to markets, social security and incentives in order to improve production, together with the participation of the global fisheries sector. Small-scale fishers are an important complement to family culture. We demand that governments, FAO and IFAD recognise, strengthen and engage with our National Committees, which participated in the actions around the International Year of Family Farming IYFF 2014. These are national spaces of dialogue between family farmers, peasants, indigenous peoples, small-scale fishers, pastoralists and governments, all the more so since the global commitment to the IYFF+10 decade. Regarding the challenges on implementing the Sustainable Development Goals, we declare that the impact of extractive industries is negative for indigenous peoples and that the situation has worsened over the last decades. Companies have the same obligations and responsibilities in protecting the rights of peoples and our right to Free, Prior and Informed Consent. This should mark an unprecedented framework that is in favour of women, young people and adults who suffer the most from the negative impacts of the depletion of national resources by extractive industries in affected ancestral territories. It is also necessary to do away with militarisation and forced displacement. Regarding education, we propose and demand that investment in and access to land be specifically centred on youth so that they may continue living in rural villages and indigenous territories. In order for the new generations to stay in rural areas, appropriate technological incentives, participatory action and respect of generational knowledge of agroecological food production are needed. Pastoralist communities ask for adapted participatory consultation means, given the isolation of their communities and the reality of the environments in which their families live. Differentiated policies for land tenure, development programmes and access to services need to be ensured. We understand and defend agroecology as a key form of resistance to an economic system that puts profit before life. Our small-scale diverse methods of food production, which are based on agroecology, generate local knowledge and promote social justice, while also sustaining our identity and culture and strengthening the economic viability of rural areas. See the Nyeleni Declaration, 2015. We propose a study be made on the impact of the Paris Agreement on small-scale farming, given the emphasis it places on the commodification of climate. The role of small-scale food producers and family farming needs to be recognised. They are not merely vulnerable peoples or stakeholders, but rather rights-holders who play an essential role in cooling the planet. All climate change adaptation and mitigation mechanisms proposed by states should build on traditional and ancestral knowledge. We urge states and the FAO to continue making progress in building a space of dialogue with social movements and platforms. 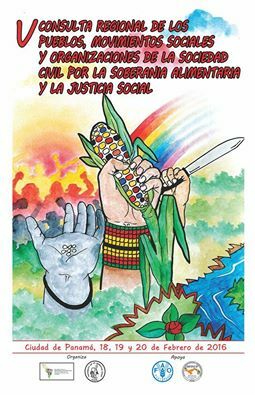 Agroecology is the peoples’ right. Food Sovereignty, NOW. Universal Declaration of Human Right (10 December 1948), International Covenant on Economic, Social and Cultural Rights (3 January 1976), Declaration on Rights of Indigenous Peoples (13 Septembe 2007), Declaration on the Rights of Peasants currently in discussion, as well as the Voluntary Guidelines for the Responsible Governance of Tenure of Land, Fisheries and Forests in the Context of Food Security (11 May 2012), the Voluntary Guidelines for Securing Sustainable Small-Scale Fisheries (10 June 2014), the Declaration of the Decade of Family Farming (2015-2025) and CEDAW (18 December 1979), which underpins our struggle to eliminate all forms of violence against women, as well as the CARICOM Food and Nutrition Policy (13 September 2010), Climate Change of the Caribbean Regional Strategy for Agriculture Development Resilient to climate change (2009 – 2015) and the Caribbean Community Common Fisheries Policy. Political position and action plan of the world’s indigenous women, Lima 2013.